There are many types of folk dances performed in Turkey and they reflect the cultural structure of each specific region. Although these dances are very old, they are still performed at special events such as weddings, engagements, bank holiday festivals and other celebrations. Special costumes are worn and there is a story behind every dance with many performed about love, bravery, the relationship between man and nature and even occupations. 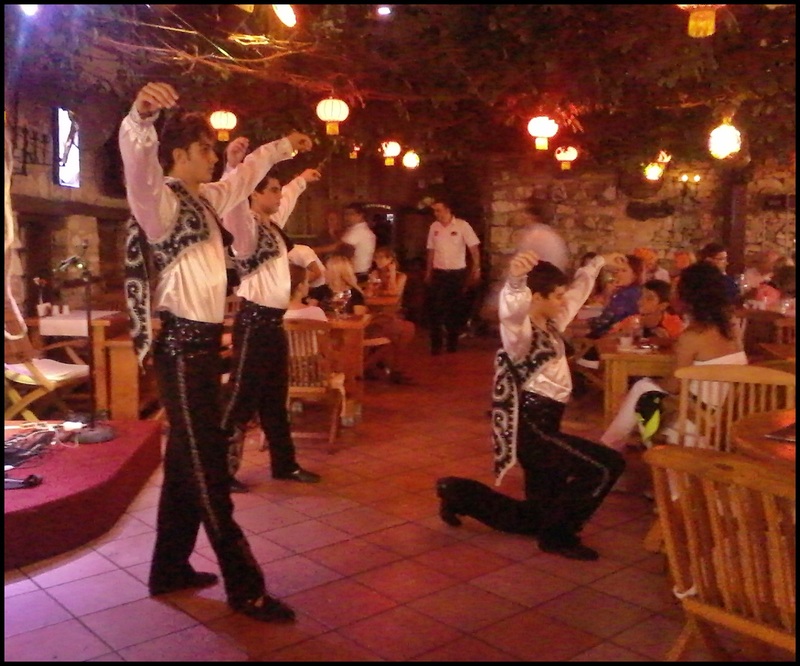 Here at Planet Yucca Restaurant in Kusadasi, we give you the opportunity to watch a traditional folk dance from the Aydin region of Turkey which is the local region of Kusadasi. During the time of the Ottoman Empire many people living in the Aegean area were Zeybeks and the dance itself is one of many Zeybek dances from that time. Zeybeks were groups of people who protected villages from bandits and the like. The leader of the Zeybek group was called ‘Efe’ and this dance is named after ‘Efe’ and depicts the bravery of the leader. Planet Yucca’s Turkish Night is every Thursday and Sunday evening.